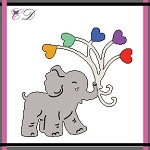 Gloria here today, I want to share with a cute card using Elephant love die from Cheapo Dies. To create this card first, I die cut the elephant on the white card stock. blended with Distress oxide inks for the elephant part and colored the hearts with Kuretake watercolors. And added some water spatters and add white dots on the colored paper using white gel pen. 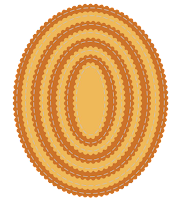 I die cut the white circle using Unbranded dotted circle die. Mounted all elements as shown a top-fold card using double-sided tape. It's Connie Can Crop here and my day to post with Cheapo Dies! I knew when I saw this Ballerina I had to have her!! She is GORGEOUS! So delicate yet detailed! The perfect star for any card or project! I cut her out in a pink glitter paper. The reflection of the flash in the glitter made it hard to capture her true beauty! I then added some white cardstock to her underneath and fussy cut it so that her dress would be solid. 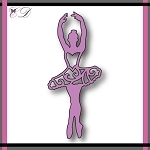 I am in love with the tiny dancer and have the perfect dancer to send this to!! There are so many amazing dies in the store! Be sure to check them all out here! Hello! Happy Saturday! 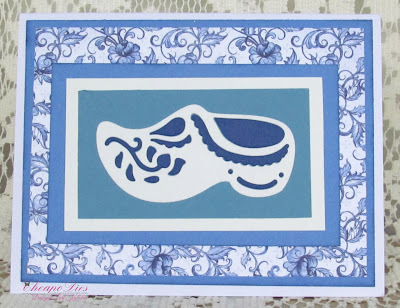 Lori here today and I have this card that I would like to share with you that I made with the EXCLUSIVE Cheapo Dies Dutch Shoe die. For this A2 card I started with white card stock for the base of the card. 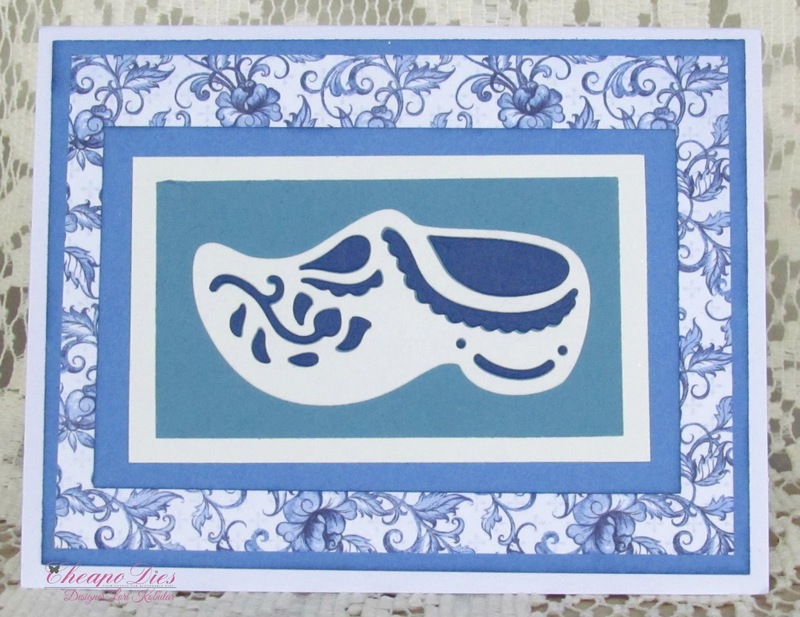 I cut out the Exclusive Dutch Shoe die twice, once in white paper and once in navy blue paper. I placed the white shoe onto some light blue paper and then I inlaid the navy blue pieces. I then mounted that onto more white paper. I mounted the white paper onto the blue, and then onto the printed blue paper and then once again onto the blue paper and I added all of that to the white card base. I really like the way this came out. 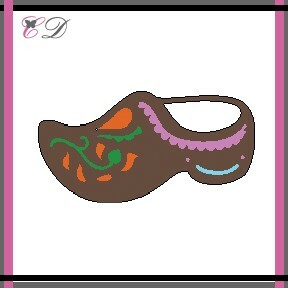 I was going for the Dutch Delft look for my card, what do you think? Did I get the Delft look? 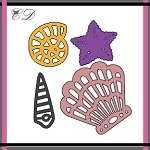 Be sure to stop back often to see what the Design Team have created with these wonderful and easy to cut dies! Hey everyone. 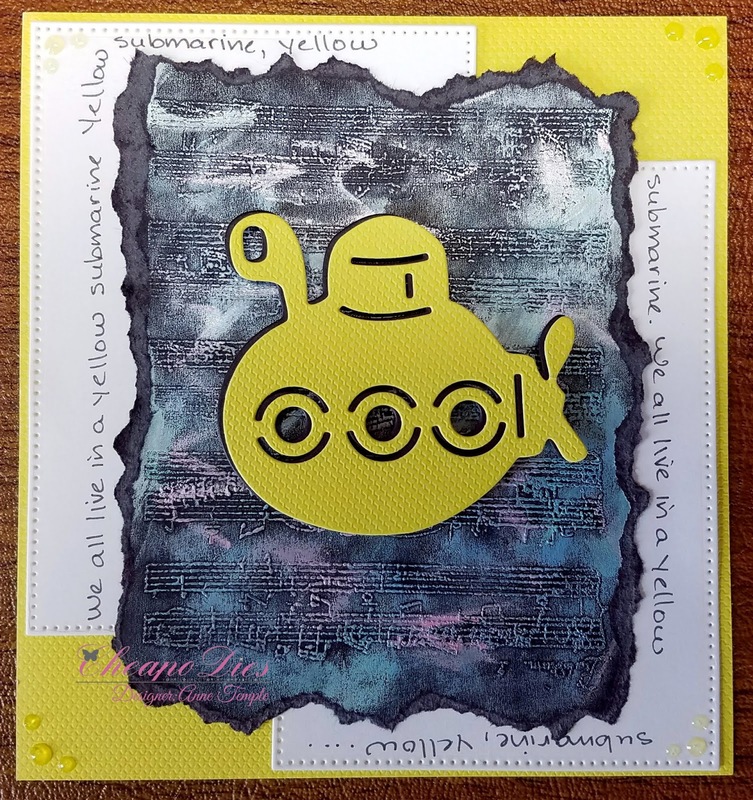 Anne here with my take on the Submarine exclusive die by Cheapo Dies. When I saw this die, the Beatles song Yellow Submarine started going through my mind......so, here is my Yellow Submarine. I die cut the submarine twice so that I could add a shadow behind the yellow one. I stamped the music background (Stampabilities stamp) onto black cardstock and then embossed it with Clear embossing powder. Next I added a couple colors of Nuvo Embellishment Mousse (Peony Pink, Cornflower Blue) using my finger tip. The yellow submarine was pop dotted on top of the musical notes. The white mats were die cut using the Dotted Rectangle Set of unbranded dies from Cheapo Dies. (Unfortunately, these are temporarily out of stock as of this writing, but these would work just as well.) After adhering the music background, I wrote some of the lyrics to the Beatles' song around the edges. For a final touch, Nuvo Crystal Drops (limoncello) were added to the corners. For additional details, please visit my blog, Anne-Made. Vickie Y sharing this fun beach scene with you today. Whether it's a fresh water or salt water beachfront, it is always fun to collect seashells! To create the background for my card I used waterbase dye ink pads direct to an acrylic block, then misted with water and stamped the block onto watercolor paper to get the watery background. 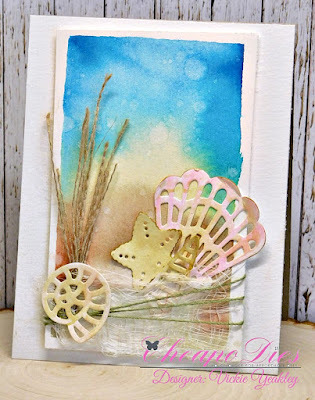 I embellished the card front using some fibers pulled from a scrap piece of burlap to create the beach grass. 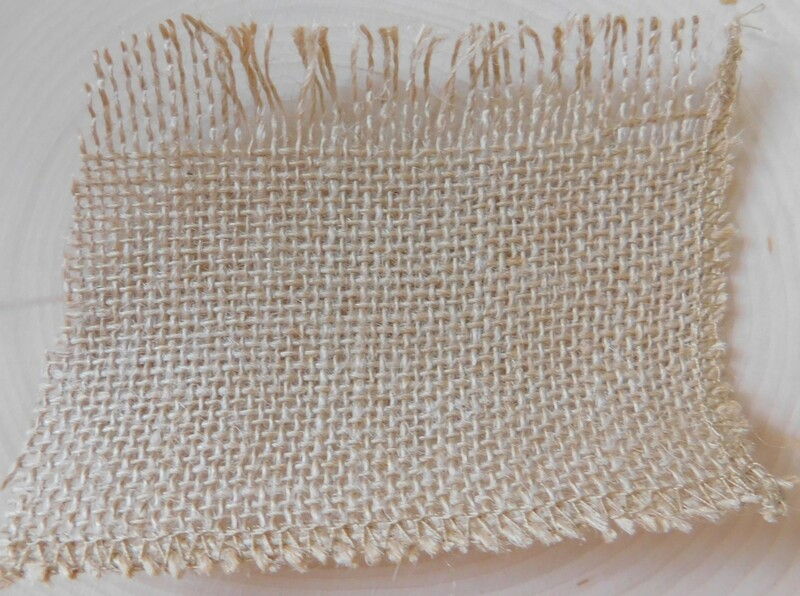 I used twine and a piece of cheesecloth to embellish before die cuting and placing the seashells; the shells were diecut using watercolor paper and colored using an aquabrush and watercolor pens. Happy Wednesday! 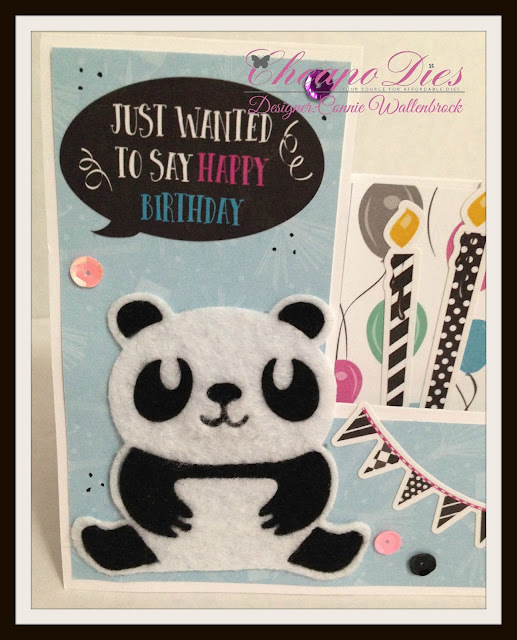 Today I am going to share with you a card using one of the many NEW dies available in the Cheapo Dies store! Happy Terrific TuesDIE crafty friend! I hope your week is off to a fantastic start. Today I have a cheerful…joyful treat for you! 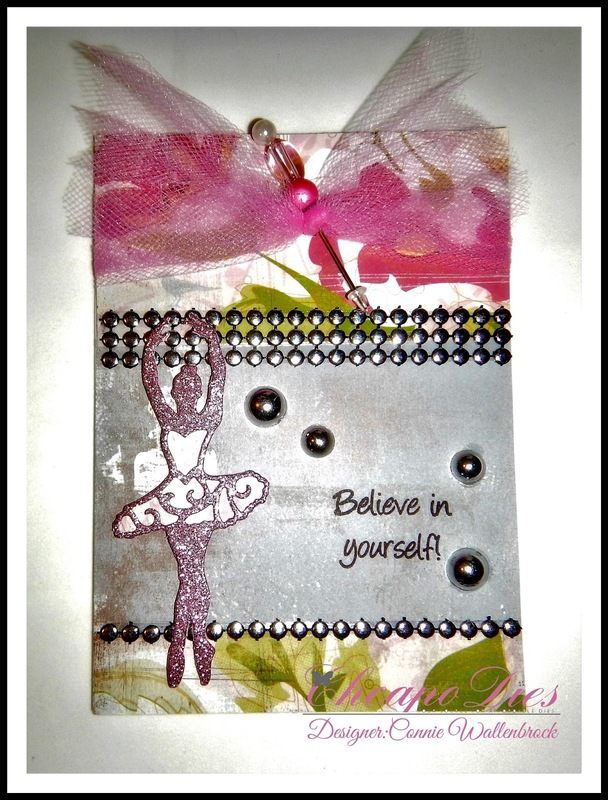 I created this card with one of Cheapo Dies new release dies…. The Birdhouse Planter. 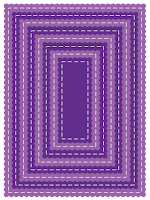 Here’s my card. I started with a base of white cardstock. My card is an A2 size and is top folding. I then used some bright and cheerful papers from the Doodlebug Hello Spring paper pad. I layered the papers onto some of the scalloped stitched rectangle dies. Here’s a closer look at the sweet little birdhouse die. I cut it out in a few different patterned papers and then pieced them together. I then used my Nuvo White Crystal drops to add the pretty little centers and decorative touches. I sponged some light blue ink on the white base mat. I added a fun sentiment from RG Studio 360 faith collection. 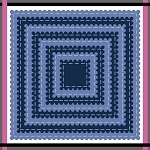 I added a vertical border and a double bow from some light pink plaid ribbon. Here is one last look at my completed card. A cheerful card for a special someone! Be sure to head over to the shop and check out all the wonderful new exclusive dies from their most recent release! Until the next time, have a wonderfully crafty day! 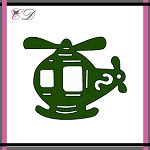 Gloria here today, I want to share with a cute card using Helicopter die from Cheapo Dies. To create this card first, I die cut the helicopter on the white card stock and colored with Copic markers. And draw some white dots on the colored paper using white gel pen. 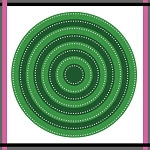 I die cut the white circle using Unbranded dotted circle die. Mounted all elements as shown a top-fold card using double-sided tape and embellished with some sequins. 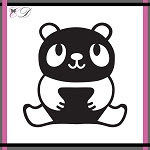 Saw this fun paper and sticker pack and knew I needed to create this adorable step card with the cutest panda die ever!! These dies can cut out felt with no problems what so ever!! How awesome is that?!! Love this fuzzy panda!! I can't thank you enough for checking out my project. It means the world to me and I hope you truly enjoyed it. May it inspire you to create something wonderful! Stop by my blog for more inspiration! Scrappy Hugs! Hello Cheapo Dies Fans!! 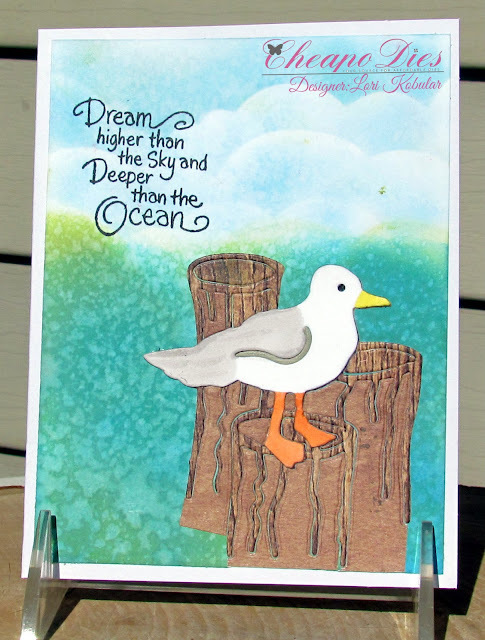 Lori here today with the newly released exclusive Cheapo Dies Seagull die. For this A2 card I started with white card stock for the base of the card. I took a piece of Neenah Solar White paper and inked the top using a cloud stencil and Tumbled Glass distress ink. For the bottom of the card I took Salty Ocean distress oxide and rubbed that onto the paper with a blending tool. I added some Peeled Paint distress oxide on top of that and then I spritzed it with water and dried the paper with my heat gun. 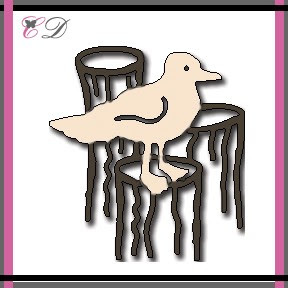 I took the Exclusive Cheapo Dies Seagull and cut it out twice, once with white paper and once with brown. I in-laid the brown pieces so that the pilings looked real and then I added the seagull on top. I used Copic markers to color the seagull. I took some black ink and stamped the sentiment onto the Neenah paper and then added that to the white card base. 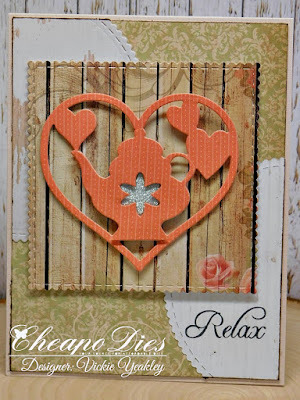 Be sure to stop back often to see more creative ways to use these wonderful dies! Anne here with a card perfect for the newly graduating person in your life. I used the Cheapo Dies exclusive die called Grad Cap and the scalloped/stitched circles are the Scallop Stitch Circles in the unbranded section. Using the Scallop Stitch Circle set, I die cut a piece of patterned paper and a piece of blue cardstock. 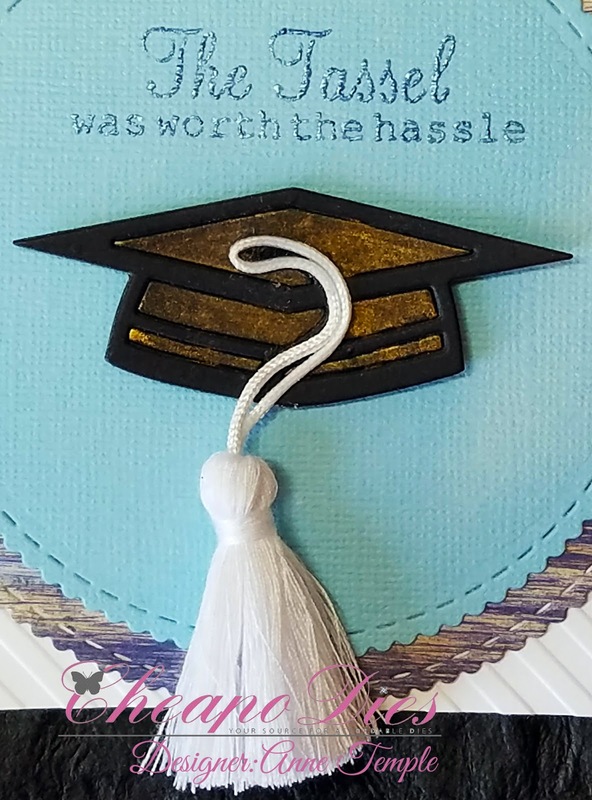 I heat embossed the sentiment (which is from a rubber stamp set called Graduation Party Time) with Bracing Blue embossing powder. 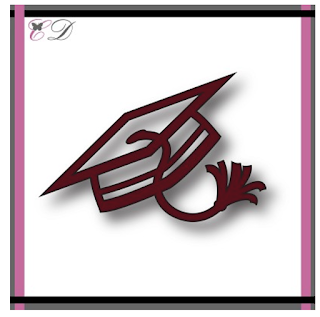 I die cut the Grad Cap twice from black cardstock and saved the negative pieces. I added a bit of gold to these negative pieces using a Nuvo Mica Mist (Antique Gold) and then adhered the second outline die cut on top. I cut off the tassel that is part of the die cut and added this one for an even more realistic look. 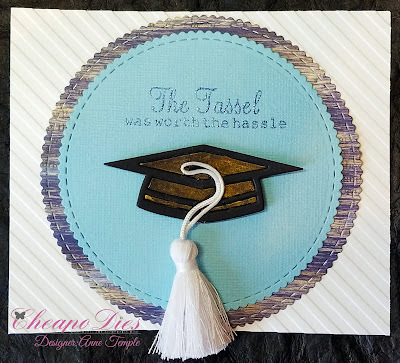 The card base was dry embossed using a Tonic Studios embossing folder (Simple Stripes). For more details, please visit my blog, Anne-Made. 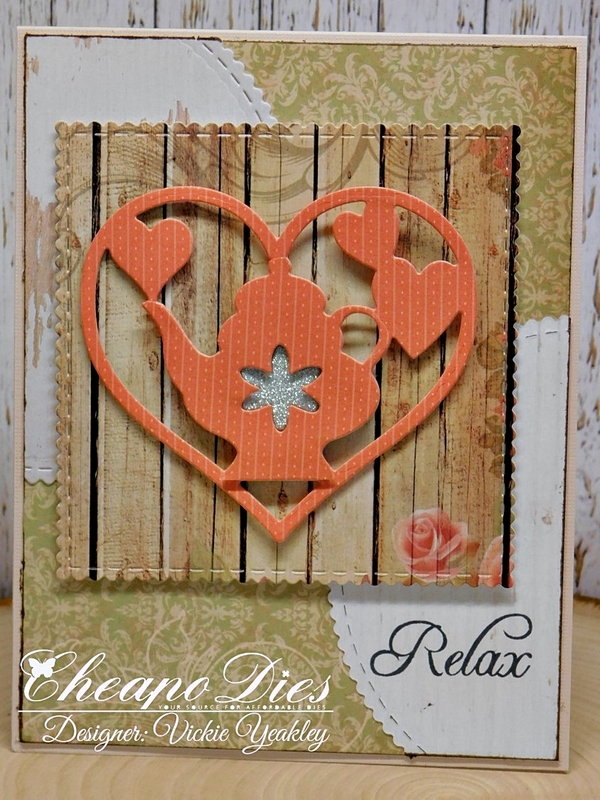 Vickie Y sharing a sweet teapot heart card with you today. I die cut the teapot heart twice and fussy cut the teapot out from one of the die cuts. Used a scrap piece of silver glitter paper to die cut the flower. Placed the fussy cut teapot onto the heart and inlaid the silver glitter flower. 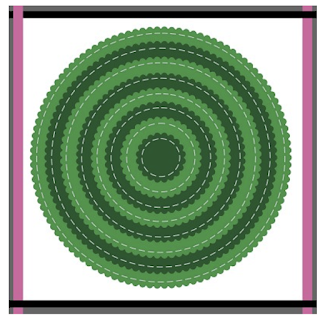 The completed heart was adhered to the scallop stitch square die cut. Also used the unbranded scallop stitch circle die cut, cut it in half and used on the top left and bottom right corners of the card. This was a fun card to design and would be perfect for Mother's Day or to give to any special person in your life. Happy Wednesday! DT Carolyn here to share a little bit of summer with you. All this wild weather around the nation this last week has been crazy. I thought a little under the sea inspiration would be a fun jump start to summer. Isn't this die so fun! It's called Pirate Octopus and is an exclusive die in the shop. This die set cuts crisp and clean making your projects that much more special. Stop back daily for more inspiration from out design team or stop by the store to check out all the new dies in stock. Happy Terrific TuesDIES crafty friends! 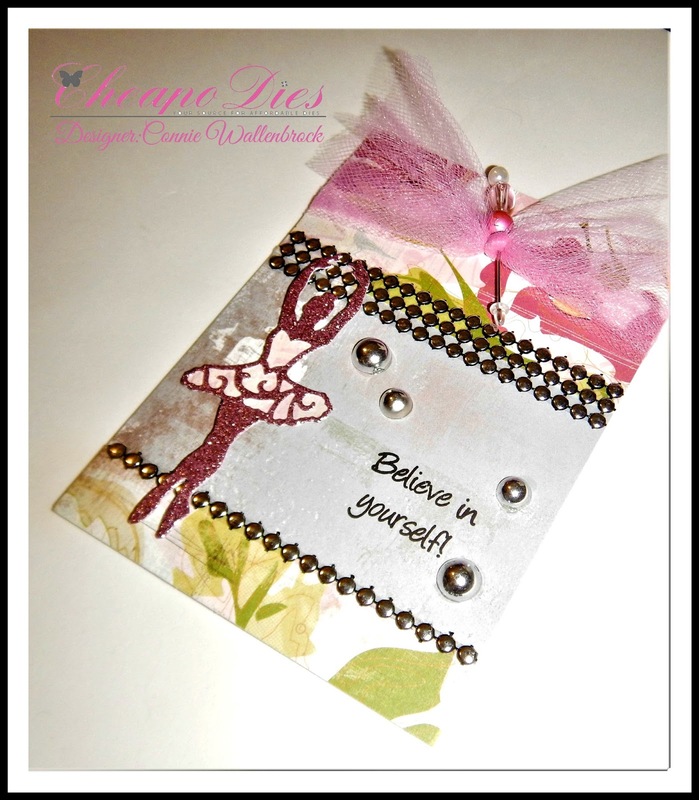 Today I am sharing a pretty card I created using the exclusive Cheapo Butterfly Die! Here is what I came up with. This card is a tad bit bigger than the size I normally do. It is a 5 x 6.5 size. 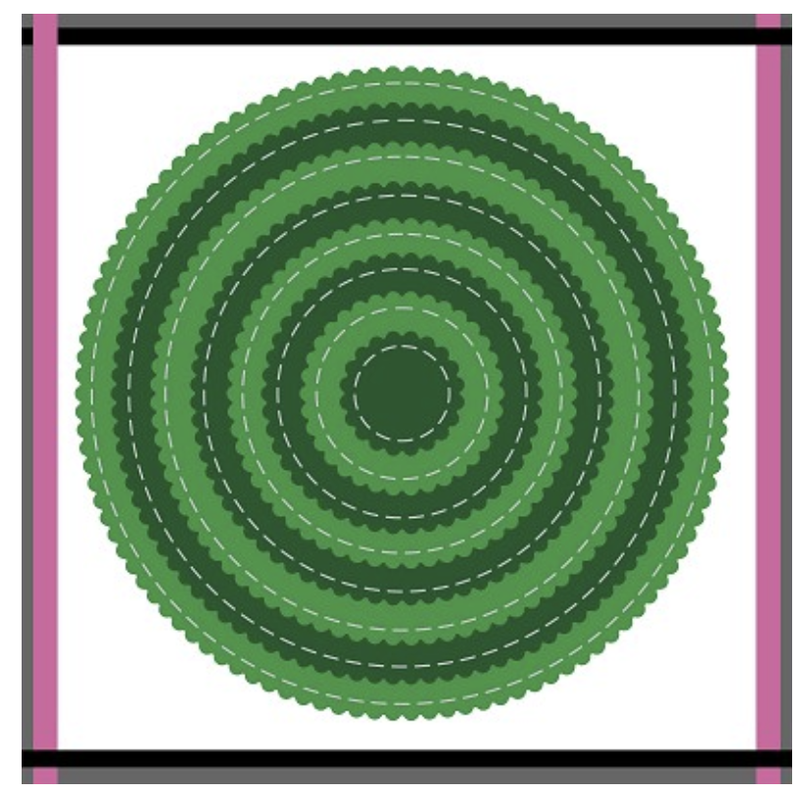 I started with a cream cardstock base and then cut a mat from some kraft cardstock 1/8” smaller. The patterned paper is from the Kaiser Kraft Cherry Lane collection. 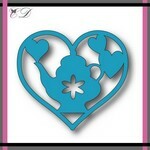 The main die cut is the pretty exclusive Cheapo Butterfly die. I cut it out three times in some cream cardstock. I then brushed it with some of my Gold Gansai Tambai metallic watercolor to give it the gold shimmer. I then used a pretty daisy die from Cheapo. I also used some mini butterfly die cuts from the unbranded die collection. I brushed the daisy die cut with some more of the Gold Gansai Tambai watercolor it was the lighter version. For the little butterflies and the centers of the daisies, I used my Rose Water Nuvo Crystal Drops. 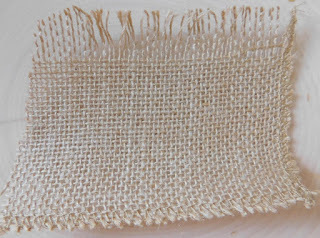 I also used my oval scalloped stitched dies for the base layers. Underneath that I used my stitched rectangle scallop dies for the mat underneath. I also added some Rose Water Crystal drops for a little extra decoration. 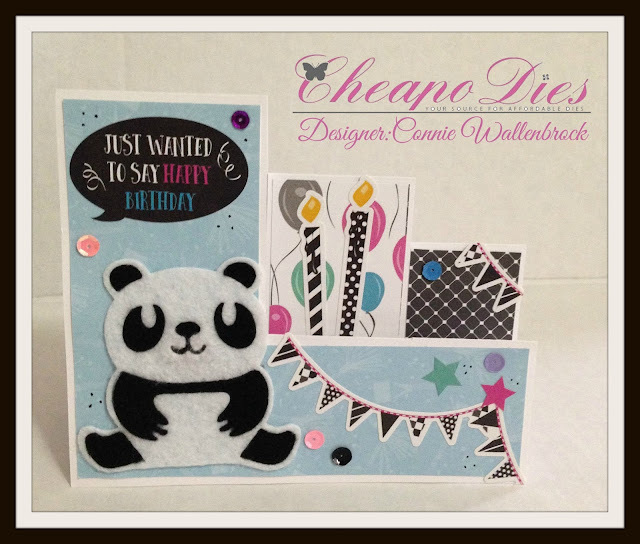 I used the smaller rectangle scallop stitched die to cut out the happy birthday sentiment. I used a little foam tape to give it a little lift. Here’s a closer look at my little bow to add a finishing touch. Be sure to head over to the Cheapo Dies Shop and check out all of the wonderful dies at such great prices! Until the next time, have a wonderfully crafty day.